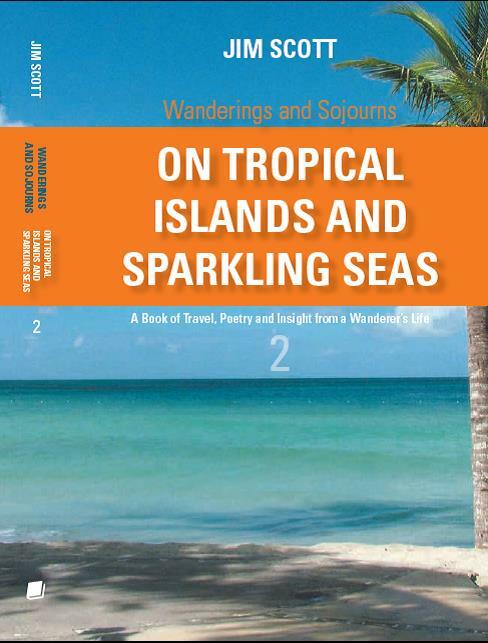 As its name implies, Book 2 in the “Wanderings and Sojourns” series focuses upon the author’s time afloat during two decades spent among the tropical islands that lazily stretch from the Eastern Caribbean to the Bahamas, and the sparkling waters that surround them. 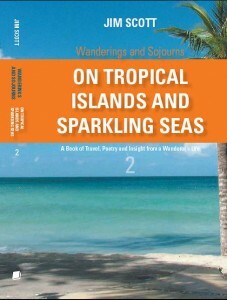 Like its predecessor “On Five Continents and Three Oceans” this 400 page volume is a blend of intriguing and true tales interspersed with lyrical verse and accented by life-earned philosophies relating to those stories with the odd dash of almost spiritual nuance mixed in to get the reader thinking. From his first ever game of golf on a waterlogged course in Montserrat to a boarding by the US Coastguard in the Gulf Stream; his appendectomy at a maternity clinic in Antigua to battling a monster hurricane in the Virgin Islands, the author recounts, often with wry wit and candid insight, and always with his typical not-quite-conformist attitude, just some of the episodes that made his life in the islands so fascinating. Sail with him through crazy charter episodes, harrowing search and rescue operations, island-style parties and a quest for billions of dollars of sunken treasure, to a life that could only exist in the mystical and tropical islands of the Caribbean and the sparkling waters through which so much legend and romantic history have passed. And yes, there are even pirates! First single-handed quadriplegic circumnavigation of Great Britain (sail). First unassisted disabled Atlantic crossing (sail). Yachting Journalist Association (YJA) Pantaenius Yachtsman of the Year for 2010.